The research was carried out in five different locations in 2010 and 2011 years under in the ecological conditions of Hayrabolu, Malkara, Suleymanpasa, sarköy and Saray district. Twenty-three bread wheat varieties were used as material in the study. the study carried out in the same area was made up of 2 different growing conditions, namely field conditions and a covered area covered with sunlight. The sunn pest damage rates in wheat varieties grown in the open area were ranged from of 6.0. to 0.10 %. The sunn pest damage rates in bread wheat varieties grown in closing area was changed between 10.37 to 23.17% with a significant increase. the average of the highest sunn pest damage in two years was observed the numbered 15, 10, 1, 11 and 16 cultivars, while the lowest values was obtained form 4, 13, 8 and 3 varieties According to the SDS-PAGE analysis in order to determine the genotypic differences of bread wheat varieties, protein band number in bread wheat varieties was ranged from 17 to 21, the density and molecular weight of protein bands were significant differences among the varieties. Protein bands are distributed predominantly in the omega region while in the gamma and beta regions a small number of bands were observed. There are no bands in bread wheat varieties in the alpha region. Anonymous, 2015. Data of Turkish Statistical Institute. Yüksel, M. 1969. Süne (Eurygaster integriceps put.) Zarari ve Kimil (Aelia rostrata Boh.) Zarariyla Mukayesesi Üzerine Arastirmalar. Yenidesen Matbaasi, Ankara, 65. Kinaci, E., Kinaci, G., Yildirim, AF. and Atli, A.(998. Sunn Pest Problems in Central Anatolia and the Role of Wheat Varieties in Integrated Control. Euphytica, 100:63-67. Mudurlugu Yayinlari. No:352. Izmir, 535 s.
Critchley, BR. 1998. Literature Review of Sunn Pest Eurygaster Integriceps Put. (Hemiptera, Scutelleridae). Crop Protection, 17(4):271-287. Lodos, N. 1961. Turkiye, Irak, Iran ve Suriye’de Sune (Eurygaster Integriceps Put.) Problemi Uzerinde Incelemeler. E.U. Ziraat Fak. Yay. No:51, Ege Universitesi Matbaasi, Izmir, 115s. Anonymous, 1997. Sune. T.C. Tarim ve Koy. Bak. Tar. Arast. Genel Mud. (TAGEM), Ankara, 39s. Sivri, D. 1998. Sune Proteolitik Enzimlerin Izolasyonu, Karakterizasyonu, Saflastir?lmasi ve Gluten Proteinleri Uzerine Etkilerinin Belirlenmesi. H.U. Doktora Tezi, Ankara, 101s. Melan, K. 2005. Sune ve Mucadelesi. Tarim ve Koyisleri Bak. Tar. Arast. Genel Mud., Ankara, 18s. Bosphorus 2008 ICC International Conference, ISBN 978-9944-0519-0-3, Istanbul, p.140. Koksel, H. and Sivri, D. 2002. Sune-Kimil Enzimlerinin Cesitli Ozellikleri ve Gluten Proteinleri Uzerine Etkileri. Hububat 2002 Hububat Urunleri Teknolojisi Kongre ve Sergisi Bildiri Kitabi, Gaziantep, s.49-56. Olanca, B., Koroglu, D., Ozay, D. Koksel, H., Donmez, E. and Sanal, T. 2008. The Extent of Gluten Degradation in Bread Wheat Cultivars due to Bug (Eurygaster spp.) Proteases by SE-HPLC (H. KOKSEL, U. UYGUN, and A. BASMAN editorler). Yilmaz, T. and Kivan, M. 2000. Fecundity of Eurygaster integriceps Put. and Eurygaster austriaca Schrk. in laboratory conditions and nature. XXI. International Congress of Entomology, August 20-26, 2000, Brezil, 427. Kocak, E. and Babaroglu, N. 2005. Orta Anadolu bolgesi kislaklarindaki Eurygaster (Heteroptera: Scutelleridae) turleri. 29 (4): 301-307. Tarla, S. and Kornosor, S. 2009. Reproduction and survival of overwintered and F1 generation of two egg parasitoids of sunn pest, Eurygaster integriceps Put. (Heteroptera: Scutelleridae). Turk J Agric For, 33, 257-265. Kutuk, H., Canhilal, R,. Islamoglu, M., Kanat, AD. and El-Bouhssini, M. 2010. Predicting the number of nymphal instars plus new-generation adults of the Sunn Pest from overwintered adult densities and parasitism rates. J Pest Sci. 83:21-25. Bushuk, W. and Zillman, RR. 1978. Wheat cultivar identification by gliadin electrophoregrams. I. Apparatus, method and nomenclature. Can. J. Plant Sci., 58:505-515. Kovacs, M.I.P., Poste, L.M., Butler, G. S., Woods, M., Leisle, D., Noll J.S. and G. Dahlke, 1997. 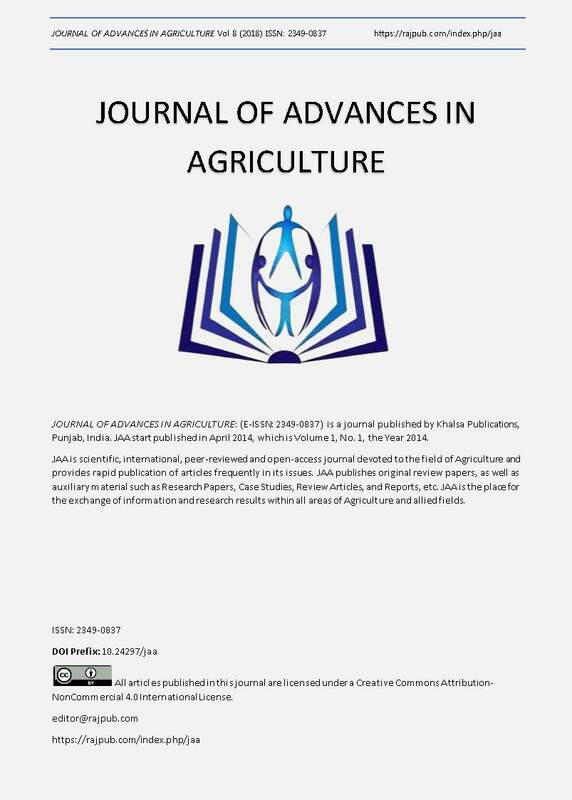 Durum wheat quality: Comparison of chemical and rheological screening tests with sensory analysis. J. Cereal Sci., 25: 65-75. Shewry P.R., D’Ovidio, R., Lafiandra, D., Jenkins, J.A., Mills, E.N.C. and Bekes, F. 2009: Wheat Grain Proteins. In: Khan K., Shewry P.R. (eds): Wheat. St. Paul, AACC International, Inc.: 53.